Integrated into these 14 colouring-in pages are 50+ early developing nouns. 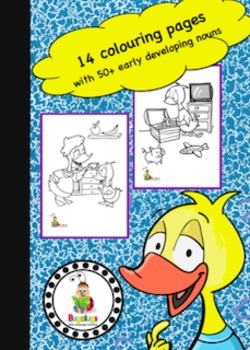 Have fun with a child by colouring and learning at the same time! 1. Modelling them to the child as you colour together. 2. Encouraging the child to identify them by asking 'Where is the X?' or 'Show me the X'.